Anaheim Elementary School District is accepting applications from residents within the District who wish to serve on the Measure G and Measure J Bond Citizens’ Oversight Committee for the following seats: Senior Citizen and At-Large. The mission of the committee is to oversee the expenditure of bond funds for the construction, repair, and modernization of schools by the Anaheim Elementary School District. 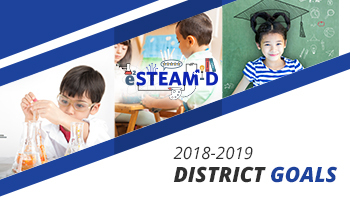 Applications can be found on the District’s website by clicking here for English or here for Spanish and at the District Office located at 1001 S East St. Anaheim, CA 92805. Applications are due by 4:30 p.m. on June 8, 2018 or until filled. Please call 714-517-7549 for more information.